The UI IPRC developed, implemented and evaluated the following interventions. 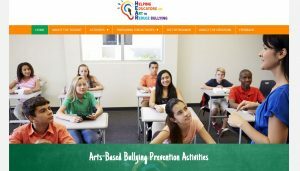 HEAR (Helping Educators Use Art to Reduce Bullying) is a web toolkit that aims to provide fun arts-based activities that help us think and talk about bullying prevention. HEAR is a collaboration between the UI IPRC, College of Public Health, and The Working Group Theater. The team initially started with the development of a play called “Out of Bounds,” which tells the story of a cyberbullying event and promotes themes of forgiveness, friendship, identity and labels. The Working Group Theater developed the play for student audiences in elementary, junior, and high schools to spark conversation about bullying. Since viewing a play is unlikely to support behavior change on its own, the team developed the HEAR web toolkit to accompany the play. The UI IPRC developed and evaluated the effectiveness of Steering Teens Safe (STS), a parent focused program to improve safe teen driving. The program is designed to improve communication between parents and teens during driving supervision. The goal is to motivate teens to choose safe driving behaviors when they are driving unsupervised. The program provides education to parents on how to talk about, demonstrate, and supervise their teen in a variety of driving situations. Recent evaluation of the Steering Teens Safe program estimates a 21% reduction in teen risky driving. The UI IPRC is currently translating the program to parents, integrating the program into three business workplace wellness programs, and working with state driver’s education programs to make Steering Teens Safe available as a parent component. The UI IPRC is currently developing the STS website that will soon be available to the public. Link for injured kids is a psychological first aid program to aid children’s emotional recovery from trauma. This program was originally designed and tested in schools following natural disasters, and has since been translated to help injured children and their families in four children’s hospitals and injured children in schools. Link for Injured kids is a collaboration with the University of Iowa Stead Family Children’s Hospital. PrepUS is a comprehensive disaster preparedness tool for U.S. populations, with specialized modules for children with disabilities (PrepKids) and older adults (PrepWise). 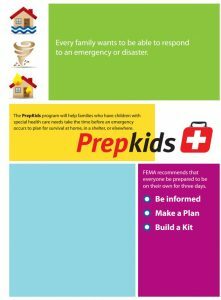 PrepKids is a 7-step disaster preparedness program designed for rural families with children with special needs. It recognizes that the combination of the child’s special needs and the isolation of a rural environment produces challenges when preparing for a natural disaster. Through in-person training, rural Iowa families learn about developing preparedness plans, assembling kits, maintaining supplies, and practicing/discussing plans. PrepWise is a similar program that will help seniors take time before a disaster to plan for survival at home, in a shelter, or somewhere else in the event of an actual emergency. This project is a randomized trial to determine if motivational interviewing (MI) is an effective intervention to help women in abusive intimate relationships. The study objective is to motivate abused women to identify and achieve their own specific goals that can help them address the violence in their lives. This project will be integrated into the setting of a busy family planning clinic in the mid-western U.S., which serves a largely rural population. Crime Free Business (CFB) is a robbery and violence prevention program developed for dissemination by law enforcement. It targets the prevention of robbery and robbery-related employee injury in small retail and service businesses. The program package includes a business owner manual, training video and materials for employees, cash handling signage, and consumer information for purchasing security equipment and hardware. Law enforcement personnel are provided materials to engage businesses in program participation and a presentation for training business owners in program implementation. The program is available to police departments participating in a NIOSH-funded translational research study, and after the study, will be available online to the public.